This introduction to wavelet analysis 'from the ground level and up', and to wavelet-based statistical analysis of time series focuses on practical discrete time techniques, with detailed descriptions of the theory and algorithms needed to understand and implement the discrete wavelet transforms. Numerous examples illustrate the techniques on actual time series. The many embedded exercises - with complete solutions provided in the Appendix - allow readers to use the book for self-guided study. Additional exercises can be used in a classroom setting. 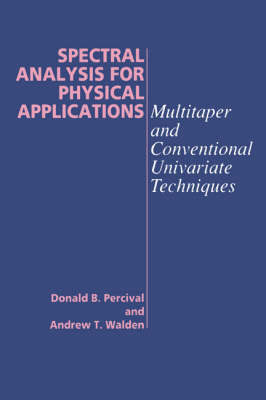 A Web site offers access to the time series and wavelets used in the book, as well as information on accessing software in S-Plus and other languages. Students and researchers wishing to use wavelet methods to analyze time series will find this book essential. Buy Wavelet Methods for Time Series Analysis by Donald B. Percival from Australia's Online Independent Bookstore, Boomerang Books.